This is what Kevin achieved. I have always been active, both in my chosen occupation and my hobbies, be it climbing, canoeing, potholing, squash, running, mountaineering or whatever I was into at the time. So fitness has always been key although I had never used a gym. Over the years, although still fit, I had put on a few pounds and now had an operation looming to repair a damaged cruciate ligament. I joined a gym back in the August of 2011 and had a few months to get myself ready for a prolonged post operation recovery. I knew that I wanted to improve leg muscle and generally get toned up but was unsure as to the best way forward. As I mentioned previously I was a gym virgin. I had been at the gym for 2 weeks and was getting nowhere. I needed a trainer but whom? Before parting with my hard earned cash I wanted to get advice and so began asking around. Craig stood out as the overwhelming clear choice. Not just in my gym but throughout the area. Right from the start I knew that I had made the right decision and we got on like a house on fire. So much so that he came to my wedding. Craig is very intuitive and read me like a book – he knew what I needed and what I would be prepared do to achieve it, even before I did. Craig proved to be dedicated, extremely knowledgeable and charming. 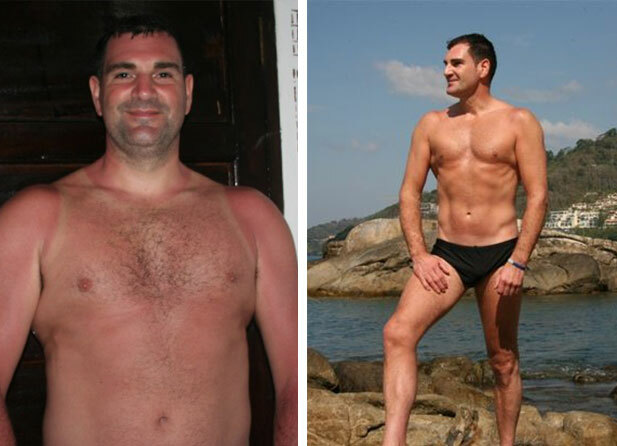 Craig has spent a small fortune in his pursuit of excellence in many fields of personal training. During our time together he correctly diagnosed me with a foot problem that was resolved when I went to see a podiatrist who provided me with insoles for my foot wear and he also diagnosed me with a hyperkyphotic posture. This was corrected by Craig and a chiropractor, I can highly recommend his sports massage. We decided to do a full body revision and before too long the pounds fell off, taking my body fat down from 27% to 7% in a matter of weeks. We then concentrated on the rebuild and before the time came for my knee operation I was following a good diet plan, was stronger, leaner, and carrying the knowledge to maintain it. It goes without saying that when anyone asks me who I would recommend as a personal trainer, it’s a no brainier. Craig is the man. 3 years on and another big knee operation. I needed an intensive 6-week programme to be as muscular and fit as possible prior to the operation date. Once again I put my cash and faith in Craig knowing that it is time and money well spent.